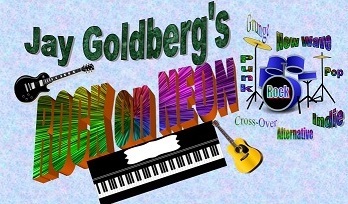 Jay Goldberg's Radio Station, Rock on Neon Radio, is a Live365 station that plays mainstream and alternative rock music from the mid-sixties to the current decade. The station plays music from indie artists and established artists. DELRAY BEACH, Fla. - Dec. 19, 2018 - PRLog -- Rock on Neon Radio's motto is "some that you recognize, some that you've hardly even heard of" which is a quote from the song "Celluloid Heroes" by The Kinks written by Ray Davies. That means you will hear songs you know, songs you may be unfamiliar with from artists you know, and songs from artists many don't know. One of the station's new shows, Spotlight on Indies, embraces the motto by alternating a song from an indie artist with a song from a more established artist. That makes this show ideal for people who want to listen to excellent music they know while also looking for new favorite artists and songs. This show is a clockwheel show meaning that the songs and artists for the show are selected at random from category codes generated by the station. The show is broadcast from 8:00 AM EST to 11:00 AM EST on Tuesdays and then a new show is broadcast from 8:00 PM EST to 11:00 PM EST also on Tuesdays. While Rock on Neon Live, the station's signature show which is broadcast at 10:00 AM EST Saturdays and is currently playing a countdown of the station's top 1,000 songs of all time, is still the station's highest rated show; Spotlight on Indies is fast approaching its numbers. This show, which is about one month old, had its most listeners to date for both the early and late shows on Tuesday, December 18th. And the numbers grew more than 30%. If the trend continues station management will contemplate adding additional time slots for Spotlight on Indies. You can find more about the station and get to a player to listen to the station at http://www.dtrconsulting.biz/rockonneon.htm or at the station's Facebook page www.facebook.com/rockonneon. Indie artists can send their music or a link to download their music for consideration for airplay to rockonneon@gmail.com.